Living through a blackout can be a nightmare. As society has become more technocratic, the prolonged loss of electricity can have deadly consequences. And one terrifying blackout should have all Americans concerned. Venezuela has become a flashpoint in modern politics. For years, leftists championed the South American country as a beacon of socialism. Many American celebrities—including Sean Penn, Susan Sarandon, Danny Glover, and Michael Moore—praised Venezuela for years. But then the socialist utopian bubble burst like it always does. Venezuela went from being the richest country in South America with enviable oil reserves and other natural resources, to essentially a failed state. The electrical system has collapsed, and citizens have been subjected to lengthy blackouts. Dictatorial President Nicolas Maduro has begun rationing electricity; citizens are only allowed to use power for 30 minutes a day. The power outages have also led to water shortages around the country. Leftists will argue that the failure of Venezuela isn’t proof that socialism doesn’t work, it’s simply proof of mismanagement. But this common argument completely misses the point. Mismanagement is inevitable under a state-planned economy. The knowledge that goes into an economy is infinite, therefore no bureaucrat—or team of bureaucrats—has the ability to factor in everything. Governments have no idea how much goods and services cost, which leads to shortages, waste, and wild inefficiency. That doesn’t even mention the disgustingly immoral act of seizing private property from citizens. One documentary that was favorable to Hugo Chavez, Maduro’s predecessor, showed the socialist president triumphantly expropriating businesses from distraught business owners. This is the sick mindset that permeates the left. Venezuela doesn’t affect their worldview at all. The more deceptive ones now pivot to the Nordic countries as exemplars of the socialism they want. But even those countries, with their sky-high redistributive taxes and VAT charges, operate under free-market principles, and aren’t over-regulated. And some of them have begun taking austerity measures and curbing immigration because of the high government spending. Meanwhile, the Democratic Party is becoming increasingly hostile toward free markets and they essentially advocate for open borders, so they’re actually moving to the left of the Nordic countries. The Nordic countries are the last “socialist” experiment standing the radical leftists can point to. 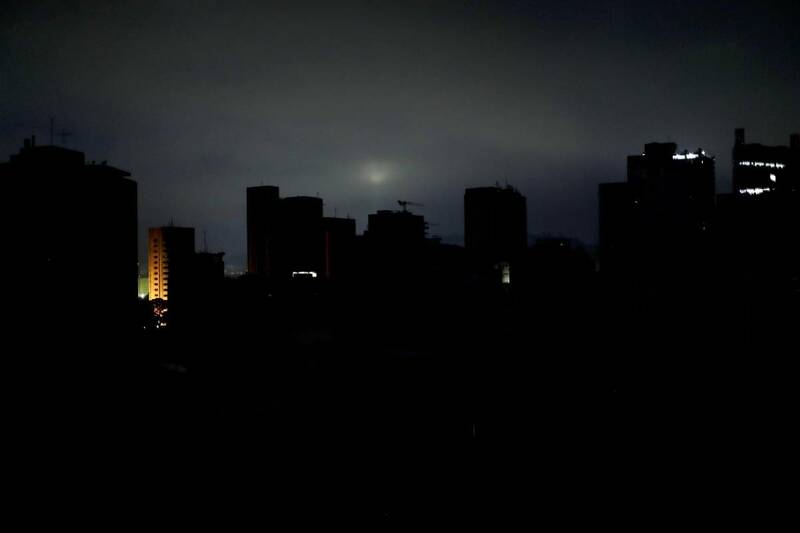 They won’t acknowledge that Venezuela is more indicative of how socialism works: death, destruction, starvation, and now darkness. If this seems like something that could never happen in America, think again. Every prominent Democratic politician has adopted all or most of the socialist talking points. Some even openly call themselves Democratic Socialists, which is one of the left’s many linguistic tricks. The only thing that differentiates socialists from democratic socialists is that the latter want to bring about the socialist utopia at the ballot box instead of through violent revolution, which Karl Marx said was inevitable in The Communist Manifesto. The nightmare scenario for Americans is what happens if these avowed socialists ever get hold of the White House with a super majority in Congress? It would mean the end of America. It’s important to stay vigilant, so the murderous ideology of socialism is never fully implemented in America. And if socialism does hit our shores, have your bug-out bag ready. To your last point – Bug out bag to where?? ?